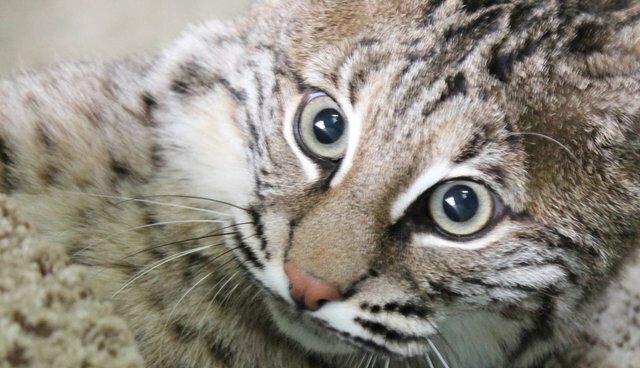 A pet bobcat is on the loose in a town near the Jersey Shore -- again. Stafford Township resident Virginia Fine reported that Rocky, a three-year-old wild cat she keeps as a pet, has been missing since March 25, marking the second time the animal has escaped in the past six months. According to Fine, Rocky is nothing more than a "house cat" and "timid" around strangers. "He's sweet, he's nice, he's super affectionate with me," Fine told NBC Philadelphia. "He is third generation captivity. He's never been wild, his parents have never been wild... He has no aggression at all. He has never hurt anybody." 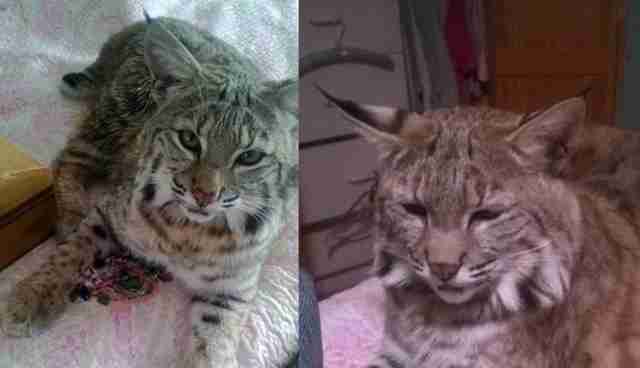 But bobcats are not domesticated, and despite the fact that Rocky has been declawed -- which is considered by many to be a form of animal cruelty -- he is still a wild animal. Fine's neighbors have also expressed concern about the bobcat on the loose, with some Stafford residents going so far as to say they're unwilling to have visitors until Rocky is found. Police say that the animal's escape is a violation of Fine's permit to keep Rocky, which warrants the bobcat's immediate impoundment if and when he's discovered. It is unclear what will become of Rocky if he's trapped by police, but township officials report that they are only using non-lethal methods to try and find him.